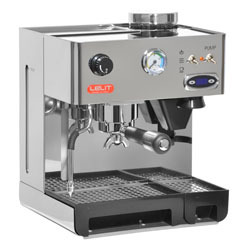 The Lelit PL042TEMD captures all of the features of the Combi model but with added PID technology. The factory installed PID allows precise temperature control of the brew, as well as steam. 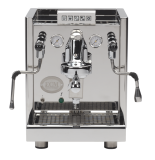 Build quality is a real feature of this machine as exemplified by the full stainless steel body, brass boiler and 3 way solenoid valve. 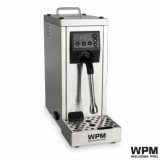 As with the standard Combi machine, the PL042TEMD has a built in burr grinder, pressure gauge and large drip tray. * 1 x 57 mm chrome plated brass portafilter (single basket, dual basket and blind filter). Shipping time approx 1-3 days depending on location.